White is a wonderful choice for flowers, as it can convey many different messages. Whether you’re looking for a delicate flower arrangement which will add a touch of grace and elegance to any room, or if you’re looking for a sophisticated gift, the white flowers collection from Four Seasons is a fantastic place to browse. Here at Four Seasons we offer a great range of different products which are suitable for a range of occasions, as we believe that you should always be able to rely on us to provide you with beautiful flowers for any special time in your life. 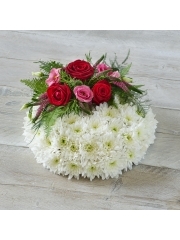 The wide variety of different flower arrangements which we have on offer leaves our florists confident that everyone should be able to find something which suits their tastes from our website collection. However, if you are having any difficulties in finding exactly what it is that you’re looking for, there is no need for concern. The florists at Four Seasons Aberdeen have a bespoke flower arrangement service available for all of our customers to consult free of charge. This means that you will be able to order a truly unique white flower arrangement which is completely to your tastes from us today. The Four Seasons florists have over 40 years of experience in the floristry industry, so you can count on us to deliver you truly magnificent flower arrangements which have been crafted with a great deal of skill and attention. Only the freshest flowers available are used in all of our bouquets, as we order all our produce directly from suppliers in Holland. This means that the white flower arrangement which you order from us will contain some of the most beautiful, high quality flowers in Europe for you to enjoy. Choose Flowers Four Seasons for a gorgeous arrangement of white flowers which is sure to be suitable for a great range of occasions. When you order a bouquet of flowers from Four Seasons Aberdeen you can rest assured that it will be of fantastic quality and will stay beautiful and fresh for at least seven days. However, you might not have known that when your order from Flowers Four Seasons we can also offer a great range of different flower delivery services for you to choose from. We know that the flower delivery service you experience from us is just as important as the gorgeous flowers we deliver to you. The Aberdeen flower delivery service operates reliably and efficiently throughout Aberdeen and the local area six days a week. This means that it is easy for you to request a day of the week, from Monday to Saturday, which suits you for your flower delivery to take place. It is also possible to choose a time slot in which you would like your delivery to take place, either morning or afternoon. At Four Seasons we believe that we must do all we can to allow our customers to have a flower delivery time and date which is completely convenient for them. If you simply cannot wait to receive your white flower arrangement, do not worry, as flower delivery Aberdeen offers a same day delivery service for our customers to choose. This means that your flowers will be delivered to you or your recipient on the very same day as you ordered them. However, to be eligible for this service it is necessary for your order for white flowers to be placed with us before 3pm on the day in question. 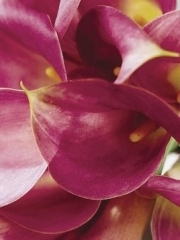 Furthermore, Four Seasons flowers is part of the Interflora brand, which means that we are able to offer our customers a range of flower delivery services further afield should you so require. For everything you might need, choose Four Seasons Flowers for a fantastic white flower arrangement today.